Support Tether speeds on HTC EVO 3D vs. EVO 4G. Substantial differences? Discussion in 'Android Devices' started by Bohn101, Sep 18, 2011. I have an EVO 4G. 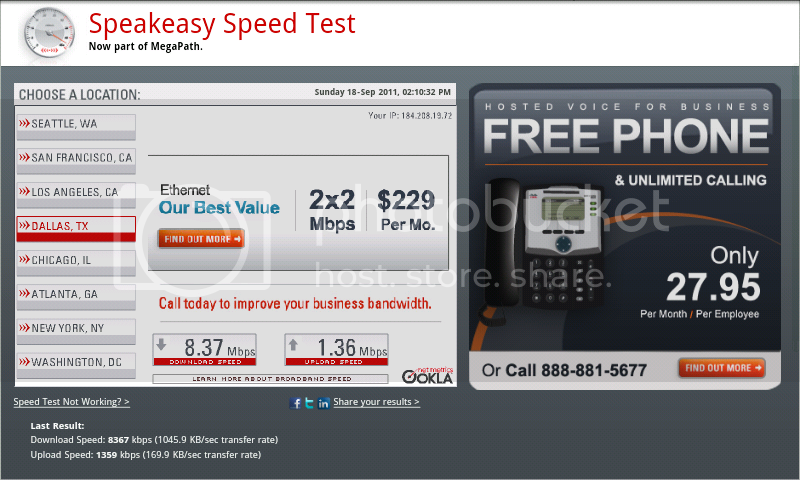 On the phone I get over 8Mbps down and 1Mbps up. Through Wifi Tether I only get 2Mbps down to connected devices. I'd guess that it has to do with the fact the the phone is, well, a phone and not a dedicated router. Question is, does the EVO 3D do substantially better having a 1.2GHz dual-core vs my 1GHz single in Wifi Tether mode than the EVO 4G? I would think it would do a lot better but can't find any info. For anyone that has a EVO 3D with at least an 8Mbps download on Wimax on their phone and has also tested wireless tethering, would you please share what speeds you are getting with connected devices? Other thoughts, suggestions, opinions are welcome. Thanks, I appreciate any material responses. I haven't done a speed test, nor do I have an Evo 4g. But I have tethered my tablet to my phone while connected to 4G (given the speeds you listed, I assume you're using 4g). I was not disappointed with the loading speeds. 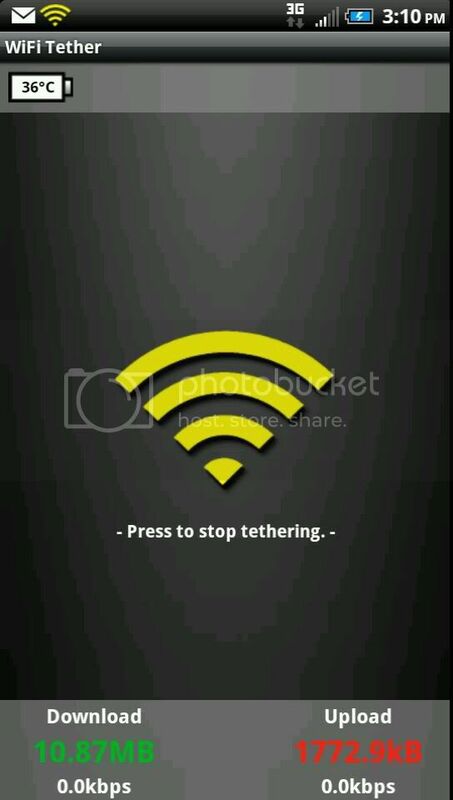 I just rooted my HTC EVO 3D and installed the latest google wifi tether app (3.1 beta6). I am getting around wifi 2.5mb/down and like 800K up...I thought it would be faster, but hey it's free so I will take it! I'm getting about the same. So I got the Samsung Galaxy S2 Epic 4G Touch now. With it, the speeds are as a suspected about 2x as fast as the EVO. I've seen nearly 5MBits to devices hooked through wireless tethering. Having a phone that's nearly 4x faster does in fact help tethering speeds. My wifi tether speeds are pretty fast. The below screenshot was taken with my EVO 3D using 3G to tether. no it doesn't. Pretty much everything in your post except "So I got the Samsung Galaxy S2 Epic 4G Touch now" is false or misleading. We don't need people spreading misinformation around here. Post proof if you want to defend your claims. Truth: moving data packets around is not a very CPU-intensive process. Our phones have way more processing power than a typical home wifi router. The correlation between CPU speed and network speed is so negligible it shouldn't be a consideration. The biggest bottleneck is your source network speed: the 3G or 4G network that you will be sharing through your phone. The fact that your phone has to pass the message (act as a middleman) means you lose a lot of that initial speed, so don't expect the same speed on the tethered device as your phone. The only speed values in your screenshot indicate 0.0kbps, which does not tell us how fast your connection is Basically at the time of the screenshot, there was no data usage; therefore no speed measurement. The green and red values are the totals downloaded and uploaded for your current tethering session. Those will steadily go up the longer you tether and use your tethered device. They do not indicate how fast the tethered connection is. CarrieK and wake69 like this. Thank you for pointing out my mistake. I had just finished a tethering session and when I went to stop tethering on my phone I saw what I thought were the speeds I had reached while tethering. Next time I will do a shot while my laptop is still connected. Thanks again I didn't want to mislead anyone but my tether speeds are fast.